We are aware of the fact that mobiles and smart phones have very important role in today's world. Despite the unstoppable growth that is the popularity of applications, there will almost certainly always be a need for websites. We will still need websites to introduce us to a company, through a search engine or alike, although the most innovative of companies could and should find a way of transforming their visitor to a Smartphone application user, if the conditions are right.Here are some inforgrapics which show how the mobile apps dominated us and its trend in market. This infographic tells us about the inside information regarding the popularity of different applications, their revenue and consumer trends. Apponimics or app-economics tells us about the world of apps and some important facts about it. This alarming and thought-provoking infographics tells a lot about how different applications are meddling with our privacy. This gives you a peek into the app download trend worldwide and in different regions. 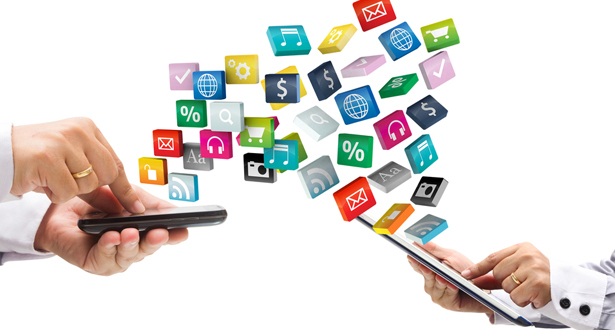 An insight into the facts and figures of mobile applications. A neat infographic about financial breakdown of facts and statistics of an app developer. An insight into important facts discussing either businesses should go for a mobile app or not. This retro styled infographics gives a peek into the statistics of apps based on cloud computing and their usage. Infographic showing the popularity and statistics of health applications on mobile. Growing trends and market flow of apps based on health and fitness. Infographic showing the present state of mobile app world and things associated with it. A thought-provoking infographic about where does all the money earned by the mobile game apps goes. Some interesting facts and figures about photography apps in the form of decent infographics. An overall review of applications programed for consumption by the users. Infographic telling about some benefits of using apps for your small business. A colorful piece of infographic showing the stats of most popular and useful travel apps. Some shaking numbers revealing some truths behind the success of app business. Infographic about the popularity and statistics of TV related apps. Useful and minimal infographics about user trends and expectations from an app store.